Mid-2016 saw amazing opportunities come my way. From being appointed Brand Ambassador for Help A Child Reach 5 in association with Lifebuoy, representing Kenya globally, to getting the chance to interview one half of the worlds wealthiest couple, Melinda Gates, I’ve felt truly privileged. I’m an ardent believer in hard work, integrity and humility. Do I always get it right? No. Do I try? Boy, do I! The one thing I’m happy about is that I’ve never had anything handed to me. At all. None of my stints in media, be it at KTN, eTV in Johannesburg or Citizen TV. The very same goes for my projects. Melinda Gates takes part on a televised panel discussion, in Serena hotel, in Nairobi, on June 28, 2016. From Left to right, Samburu activist, Ms. Josephine Kulea, CEO Samburu Girls Foundation, Mr Barclay Paul Okari, CEO Impact Africa Industries and Kopa Ventures, moderator Janet Mbugua, Citizen TV journalist, Melinda Gates and Ms Judith Owigar, director AkiraChix. When people ask me, how best can I get into media? What do I have to do to get a breakthrough? Work. HARD. Be consistent. Try not to burn bridges. Focus.It may take a while (I’m still working hard to achieve many of my goals) but all these go a long way. Above all, try to stay humble and appreciative. At times it’s tempting to give in to your own hype when you’ve been told countless times that you’re good at something, but try to reign that in so that you can remain teachable and relatable. Above all, prayer; it creates the best perspective for your life. Enough to bring myself to my knees. To always remember the trials too shall pass. I just love how humble you are despite your many achievements, God bless you janet as you continue inspiring us and reminding us the importance of humility. The goals we achieve must always be set on touching other people’s lives. One of my mentors once told me that at the end of it all, it’s all about God. All the best. Thanks Janet for always reminding me or even us to always appreciate. No matter how big or small the thing is. Again through prayer,trust and believe nothing is impossible..
Today’s poetry is more of a prayer! Just picked a few words for my next post.hihihi.. Appreciation is the best one can receive or give.He reveals Himself in different ways. When heaven says yes,we got all the chances to grab the opportunities.We all need to keep on keeping on.💪.Feeling energized by your day to day motivation.Stay blessed dear. wow this must be the most beautiful thing i get to read this morning .. humility all the way, you are an inspiration Janet! 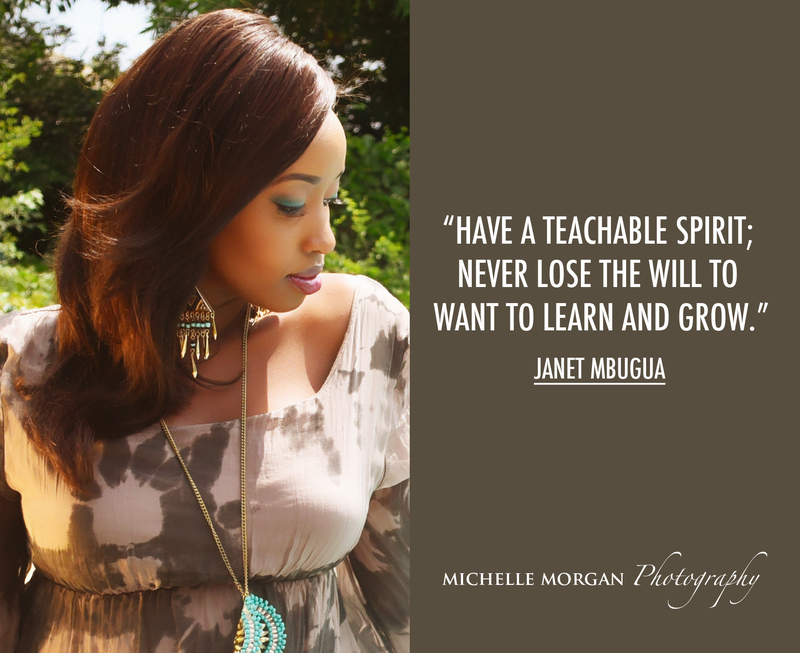 Wow!This post has captivated me to WORK HARD,as it has captured my all attention.I bless The Lord for you Janet Mbugua Ndichu.You indeed are a blend of beauty,brains,talent,hardwork,confidence,Godliness and influence hence being a super brand.Personally,I look up to you as a role model.What you do,be it anything,inspires me to keep working on my dreams,so never stop doing what you do,I know am not alone,so many people look up to you for inspiration and motivation. With patience,hard work and determination nothing is impossible.we all have certain dreams to achieve and yeah one sometimes feels to give up because of the struggles and believing why things are not happening the way we want. Thank you for the motivation dearest and stay blessed. Amazing post. Nothing comes easy indeed. Been taking it as a learning process having teachable spirit and filtering what to carry on. Amazing piece ,we often forget to appreciate when things are going well ,we think w e some how managed to have it all under control, when in the real sense it is by His Grace that things are the way they are. Thanks Janet for reminding us to always appreciate.